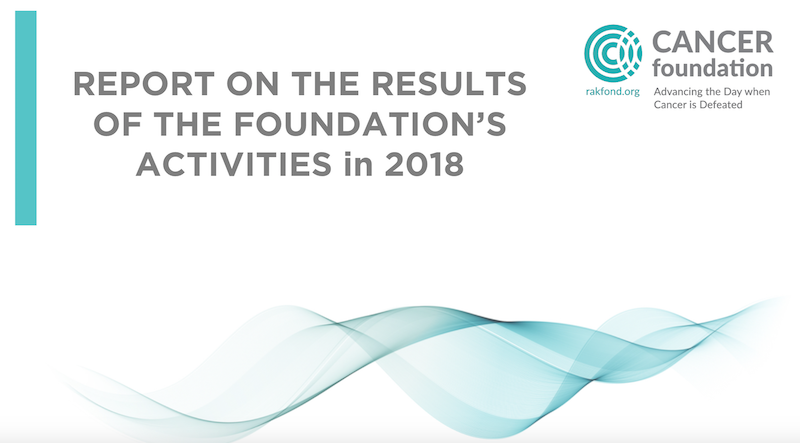 The report on the results of the Foundation’s activities in 2018 has been published on our website. The report contains detailed descriptions of the supported research, events, financials, and collaborations. We thank all donors and supporters, team members, trustees, experts, and volunteers. Owing to all contributions we managed to launch RakFond’s operations and fund first R&D projects. We look forward to the continuation of our joint efforts in 2019. Together we advance the day when cancer is defeated!